Ladies, if you’re not a fan of grunting men crowding up the gym, this is for you. 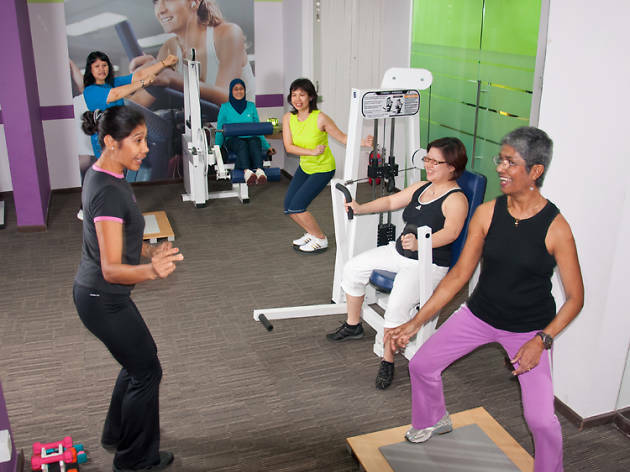 Contours Express has a friendly and non-intimidating family gym environment for women to tone, burn calories, improve overall flexibility and, of course, make new friends. Its full body circuit training includes machine work that targets all major muscle groups, floor exercises and cardio. Newcomers are given an initial body fat percentage assessment to determine the areas to work on, after which the trainers tailor fitness plans according to goals, health and medical conditions. Trainers then check in every six weeks to assess your progress. 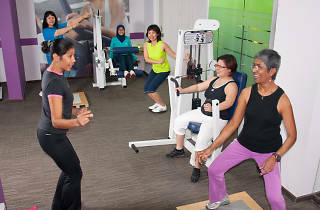 Contour Express has branches all over Singapore’s heartlands, so you can always fit in a workout before or after work. Toiletries are provided and most branches allow you to store your shoes, gym mat and water bottles with them overnight so you don’t have to carry them with you each session – bonus! Nine locations, including one at Tampines.